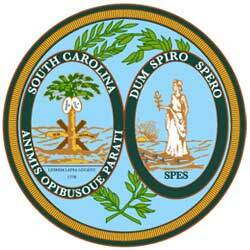 SPES Technologies is an Information Technology consulting firm, located in Columbia, SC. We have over a decade of experience helping hometown businesses consisting of just a few employees, all the way up to managing projects for organizations of 40,000 or more, interspersed across the globe. Our mission, simply put, is to assure productivity through technology. We want to be your partner in technology and give you all the tools you need to ensure the success of your business. We know that we won’t succeed unless our customers do. Why do we do this? Our passion is not technology. Our passion is helping people. By helping people succeed with technology, in turn, we are able to help even more people. This gives us a higher purpose and more of a reason to succeed than just money because we believe in giving back. What does SPES(pronounced [ˈspeːs]) mean? Our name comes straight from the South Carolina State Seal. Spes is the roman goddess of hope, pictured on the right side of the seal, along with the Latin phrase “Dum Spiro Spero”, which translated means “While I Breathe, I Hope”. We chose this name because based on our extensive experience over the last decade, there is one thing that rings true for many people in regards to technology. It is frustrating. Our goal is to remove this frustration and provide our customers with solutions that enable them to conduct their business, whatever it may be, with technology as an important tool instead of something they would rather avoid.